When I am not sure of a certain thing, I research. I am a BIG researcher. I am certain that somewhere out there, there is a right and best answer for just about any quandary. Is this reality? Probably not. Do I keep researching? Usually. The quandary presented here, of course, is a seemingly impossible task. Proclaiming God is perhaps a more welcome and familiar work, but the subsequent admonishment, “teach every man with all wisdom, so that we may present every man complete in Christ”? This seems much larger than ourselves. I am certain that I do not have the sort of wisdom required for such a task. My job should certainly end with encouraging the saints, sharing the hope I have in Christ with those separated from Him. What is this bit about presenting every man complete? Thankfully, the full counsel of Scripture supplements and answers for us: IT IS GOD. It is the work of God! Paul’s confidence in the letter to the Philippians can be our confidence, too. It is HE, God, who began the good work and it is HE who will perfect it. 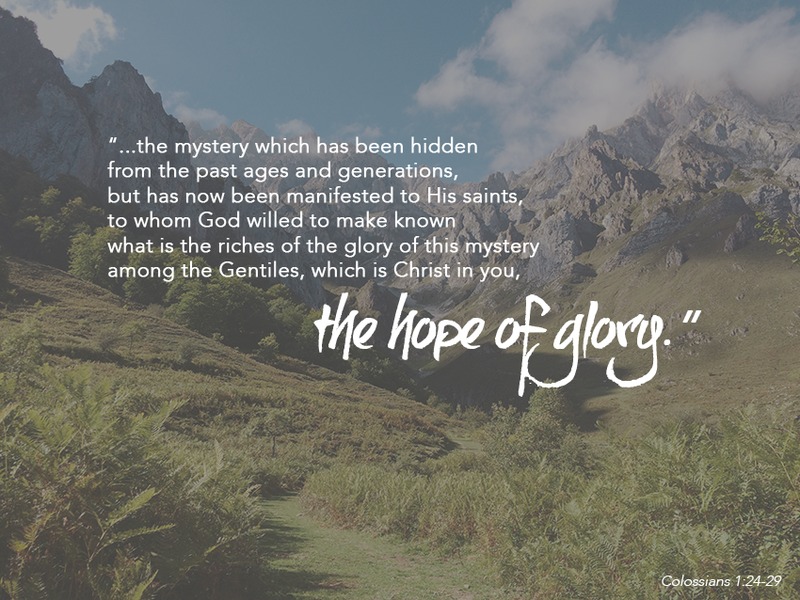 Our lives are hidden with Christ in God (Col. 3:3). There is no amount of research we can do or wisdom we can attain to qualify ourselves to proclaim the Good News. So we rest in the work He began in those who belong to Him and we rejoice that He alone will complete that work. It is by grace we have been saved - through faith - and this is not from ourselves (Eph 2:8-9). Of course, we are mistaken if we believe that Christ’s reconciled life in us absolves of any responsibility to live the Christian life. The work of salvation has been completed, and yet there is plenty to do as reconciled, holy, and blameless children of God! According to Peter, God’s divine power has been given to us to accomplish everything pertaining to life and godliness (2 Peter 1:3). So we commit our ways to the God who has reconciled us and we “continue in the faith”, becoming stable and steadfast. I find there is such a fine balance and tension here...working as unto the Lord, yet resting in the completed work. Work unto the Lord. Continue in the faith. Rest in the completed work. 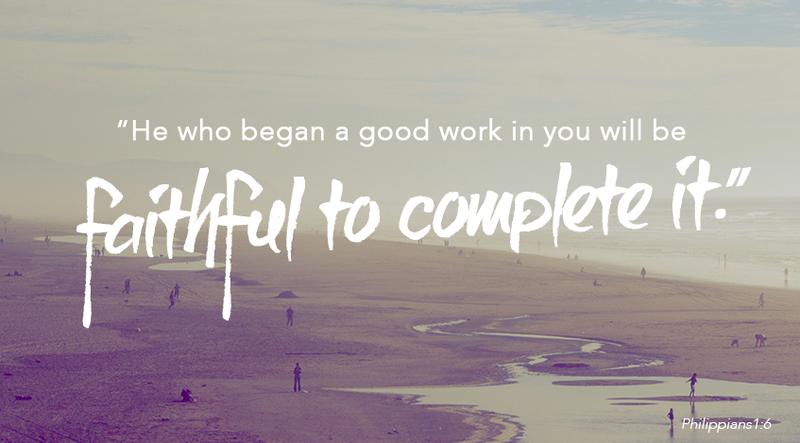 For Further Reflection:Is there any work you have been trying to complete on your own? Ask the Lord to illuminate any area in which you can rest in HIS work on your behalf.